2018 Toyota Tacoma – For those looking for a cool car, then 2018 Toyota Tacoma should be included on the list. What makes the new Toyota Tacoma a good choice in 2018? Well, if you off-road ability and utility are your main priorities, then there is no better choice than choosing Toyota Tacoma. It has lots of configurations, thus we are sure that you can find the right model that fits your needs. Some models also provide an impressive degree of trail busting capability. What is New for Toyota Tacoma 2018? Now let’s take a good look at some changes that are available for the new Toyota Tacoma 2018. The new models are equipped with the latest safety features such as forward collision warning, automatic high beams, lane departure alert, and also adaptive cruise control. While the rest is unchanged, there is no doubt that the new Toyota Tacoma is one of the best cars you must consider in 2018. For those looking for a car that has lots of configurations then Toyota Tacoma is without a doubt a good choice. It is available in six trim levels. 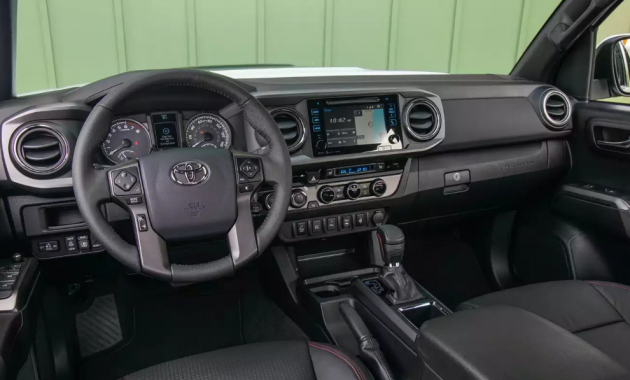 These trim levels are the entry level SR, the SR5 which offers more equipment, the TRD sport, the TRD off-road, and the top trim level which is the TRD Pro. 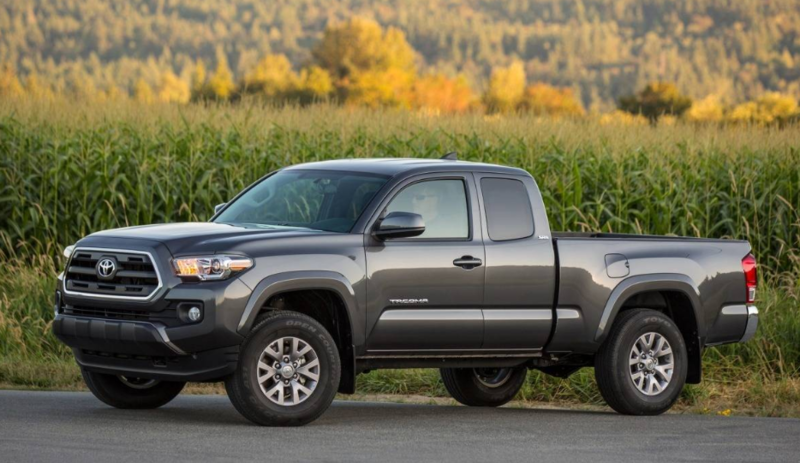 The entry level would be a perfect choice for those wanting to get Toyota Tacoma without spending too much money. The SR can be identified easily by its 16-inch wheels and dark grille. Please note that the basic model also comes with a tough composite bed, a sliding rear window, and a backup camera. If you are looking for a better option, then the SR5 should be taken into your consideration. The SR5 adds more features such as a long-wheelbase version, 16-inch wheels which can be upgraded to alloys, and the remote keyless entry which becomes standard. If you have more money, then the TRD Sport would be a great choice. The TRD Sport comes with some nice features such as body-colored fender flares, 17-inch alloy wheels, a hood scoop, and rear bumper. While the TRD Sport and TRD off-road are identical on the inside, but you must know that the TRD off-road is more capable when the going gets rocky due to their hardware differences. Some visual differences are textured black fender flares and a chrome rear bumper. 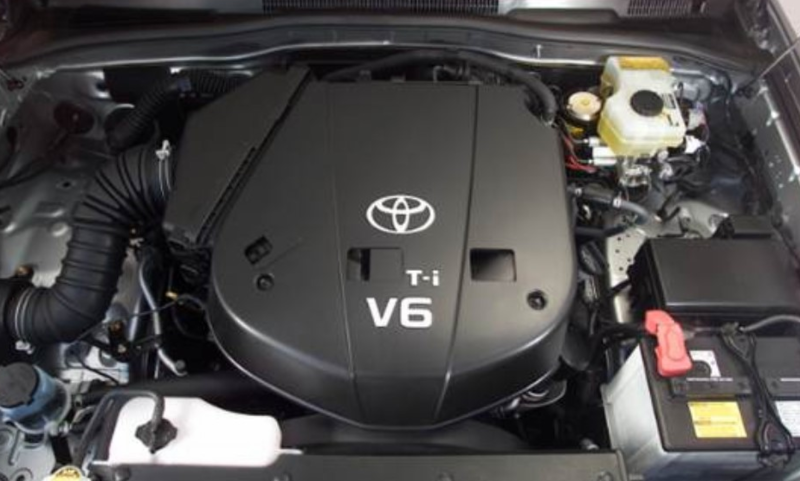 The higher trim level is the TRD pro which comes only in the four-wheel drive. Buyers who choose the TRD Pro are allowed to choose between the automatic and manual transmission. 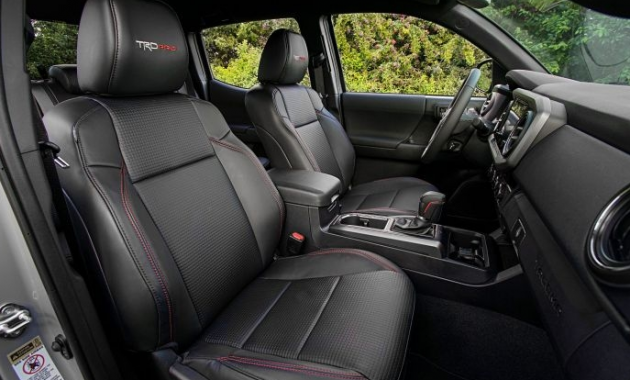 It seems that the interior of the new Toyota Tacoma is nicely laid out. It comes with the cabin that offers lots of space up front. The seats feel comfortable which are very helpful if you drive for long periods of time. The base model comes with a starting price of $25,500. However, if you have more money, then you can choose the SR5 which comes with a starting price of #30,050 for the 4 X 4 and $26,975 for the 4 X 2. Buyers can expect that Toyota Tacoma 2018 will arrive in 2018.